Climate change is a moral issue. One year ago, Pope Francis made this point emphatically with his encyclical Laudato Si. The U.S. Conference of Catholic Bishops (USCCB) has warned about climate change many times—with a major statement in 2001, and even way back in 1981 when leading bishops recognized the science that said burning fossils “could cause significant climatic changes” and jeopardize food supplies (see: Reflections on the Energy Crisis statement). But still this point, that climate change is a moral issue, gets lost very frequently today. The morality is more clear when we see that climate change is hurting people, especially the poor, with impacts like spreading diseases and worsening droughts and storms. This is why it is very beneficial to have the Catholic Church in the discussion—the Church stands up for human life and reminds us that climate change is about people. The Church cares that climate change is damaging ecosystems, but it is the Church’s integration of care for creation with care for human life that is the most valuable contribution to the discussion. Climate change threatens those basic human needs. The Church holds up the people involved, whether those hurt by climate impacts, polluted air and water, or those workers in the fossil fuel industry threatened financially amidst the transition to a clean energy economy. These workers have sacrificed much to bring our economy to this point. Many of them, like those suffering with black lung disease, have taken pollution into their bodies. It is the moral thing to do now to ensure there is a just transition in the economy. I am grateful that the USCCB and the VCC hold together the values of caring for God’s creation and caring for human life. 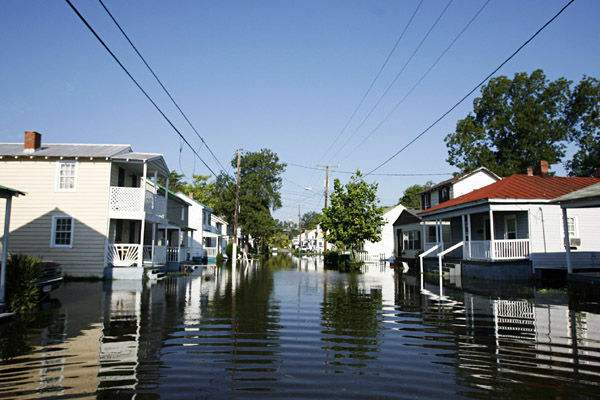 The VCC, in partnership with Catholic Climate Covenant, advocated this past legislative session for funding for coastal flooding mitigation projects in the Hampton Roads area, energy efficiency programs for low- and middle-income households, and assistance for communities affected by reduced fossil fuel use. Pope Francis stated clearly the moral implications of climate change. Now it is up to us, drawing inspiration from organizations like the VCC, to make it come alive where we are. We too must raise our voices to protect the poor and protect God’s creation. Lonnie Ellis, OFS, is the associate director of Catholic Climate Covenant, an official partner of the USCCB, and based in Washington, DC.